The Jaguar E-PACE is a natural extension to the Jaguar portfolio. Building on the success of the F-PACE, it provide Jaguar owners access to the Premium Compact SUV segment – one of the fastest growing segments in the industry. With sports car-inspired design and driver-focused interior, blending design, drive and practicality, the E-PACE will be a car with true Jaguar DNA, yet with the practicality of an SUV. With a driver-focused cockpit, surrounded by a family-focused interior, the E-PACE is a fun to drive and dynamic vehicle. The E-PACE is designed to delight the most discerning of drivers in Colorado Springs, Castle Rock, Monument and beyond. The E-Pace will be available at Jaguar Colorado Springs in early 2018. The 2018 E-PACE fits around both your budget and your family, thanks to a range of seven pristine trim levels. 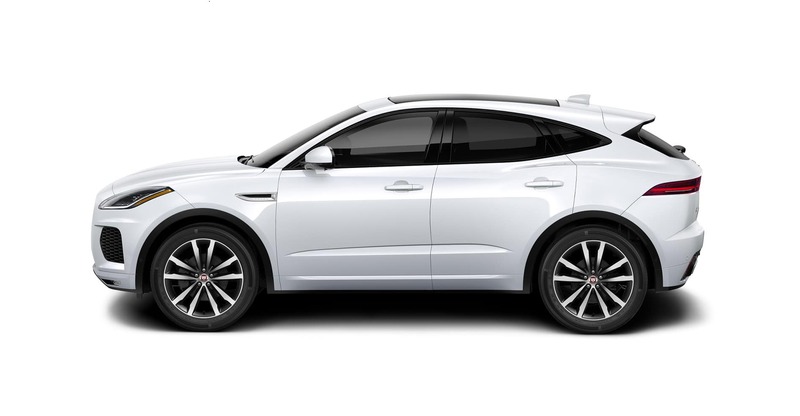 The E-PACE is available with a 2.0L i4 Turbocharged gas engine in two variants, a 246hp variant, producing a peak torque of 269 lb.-ft. @ 1,300 to 4,500 rpm. And a 296hp variant, producing a peak torque of 295 lb.-ft. @ 1,500 to 4,500 rpm. These turbocharged engines supply a fast response to throttle demand due to the twin scroll turbocharger featuring ceramic ball-bearings reducing friction and turbo lag. On the 296hp variant, the uprated turbocharger features a high flow compressor wheel delivering 26 percent more air, enabling a higher peak power output. Both engines are equipped with Stop/Start technology which shuts down the engine when the vehicle comes to a complete stop, and smart regenerative charging which harvests kinetic energy from braking to charge the battery. Each engine is mounted to a ZF 9-Speed transmission which delivers rapid shifting between the nine closely spaced ratios, responding to driving style for effortless acceleration and overtaking. Shift speeds are also optimized depending on the driving mode selected – quicker upshifts and sportier downshifts in Dynamic Mode and earlier upshifts in EcoMode. The Jaguar all-new luxury crossover has been aptly fitted with a fantastic array of standard and available tech features. 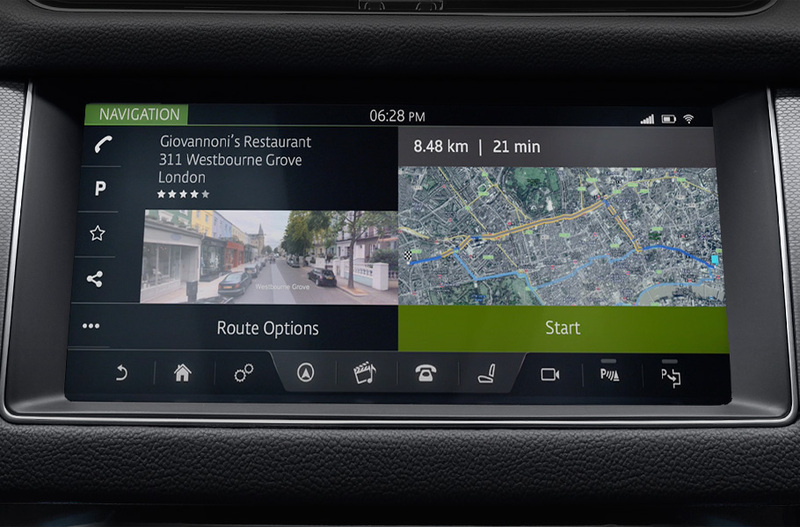 Jaguar InControl Touch: One of the most advanced infotainment systems on the road provides effortless access to navigation, Bluetooth, hands-free text messaging, and smartphone app integration through an 8-inch touchscreen interface. Jaguar InControl Touch Pro: Your upgraded infotainment system bestows upon the Jaguar F-PACE a 10.2-inch touchscreen with enhanced navigation, plus a 12.3-inch Virtual Instrument Display with 3D Map View. InControl Wi-Fi:Enjoy a fast and dependable web connection on the go without draining your smartphone’s data plan. The onboard 3G Wi-Fi hotspot can connect with up to eight devices at once. Meridian Sound: Striking as standard, the Jaguar F-PACE adopts a 11-speaker, 380-watt Meridian sound system, with speakers placed precisely for immersive audio. Upgrading takes you to new planes of audio production through a 18-speaker Meridian system with full Surround Sound and 825 watts. Staying safe on the road has never been easier, thanks to the many available safety features on the 2017 Jaguar F-PACE, including lane departure warning, lane keep assist, a head-up display, and a pedestrian detection system. This model is also offered with an available Park Assist system that will automatically maneuver your vehicle into a parallel or perpendicular parking spot. The 2017 Jaguar F-PACE fits between the compact and midsize crossover SUV segments, and promises significant room for up to five adult passengers and plenty of cargo. In fact, three adult passengers can sit comfortably in back, and there’s 33.5 cubic feet dedicated for cargo behind the rear seat. You can also fold the rear seat flat to access more space when needed. This model is offered with plenty of luxury flourishes, from perforated Windsor leather seat upholstery and premium trim accents to ambient mood lighting and a panoramic sunroof. 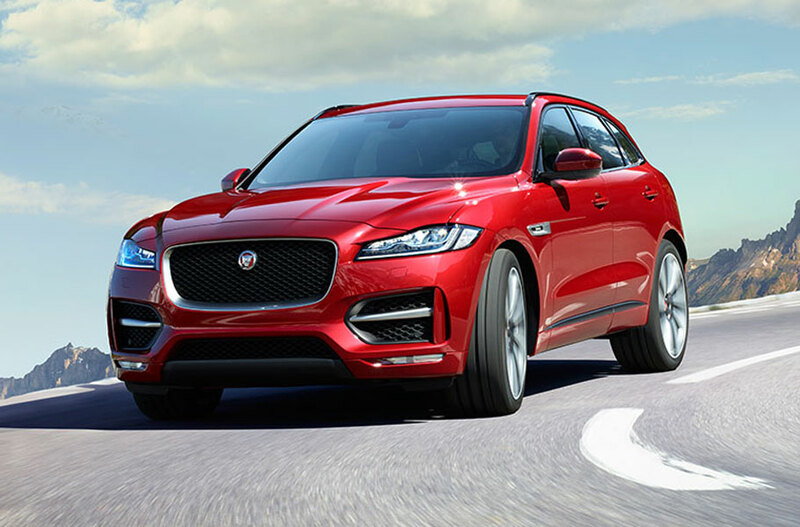 As an all-new vehicle, the 2017 Jaguar F-PACE would have attracted attention with ease, but its thrilling performance, graceful design, and ground-breaking technologies have made it into one of the most talked-about vehicles in the country. 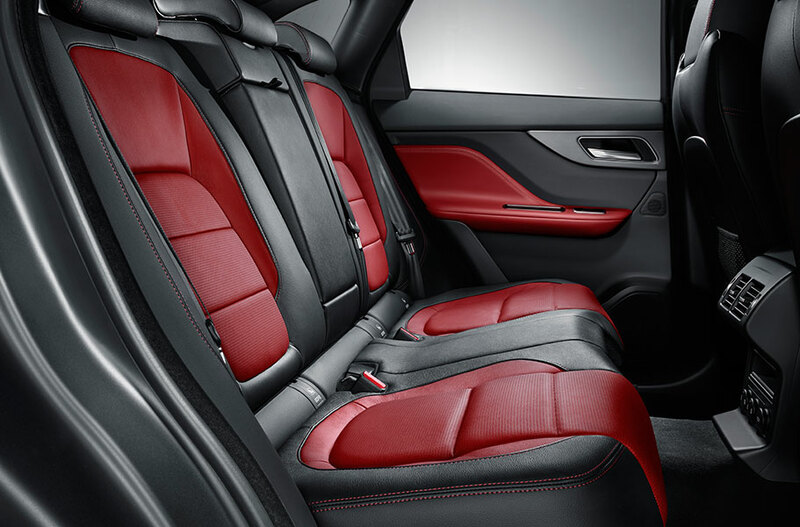 It’s time to check it out for yourself, and you can do just that by visiting Jaguar Colorado Springs. We’re conveniently located near Cheyenne Mountain, just south of where I-25 and Highway 24 intersect in Motor City, and you should always feel free to contact our sales team.